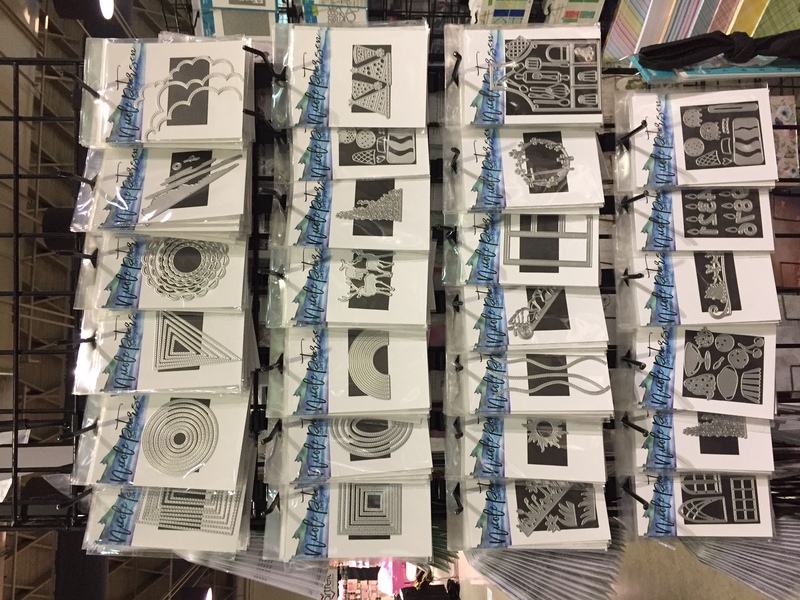 Hello, my crafty friends, it’s my favorite Tuesday of the month because today I have the chance to share some amazing products and booths that you will find on the Stamp & Scrapbook Expo show floor. 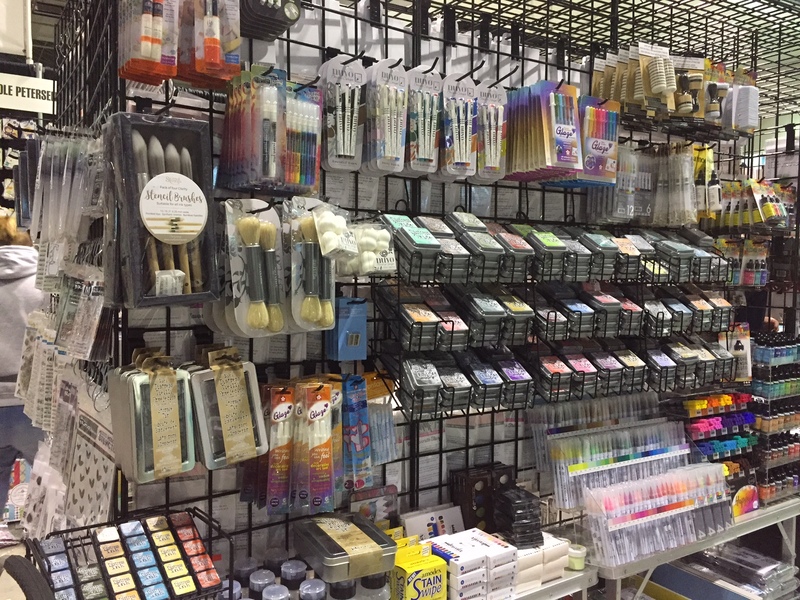 Our show season is in full swing and I am truly in my happy place when I have the opportunity to create beautiful projects with you at the Creativity Center. 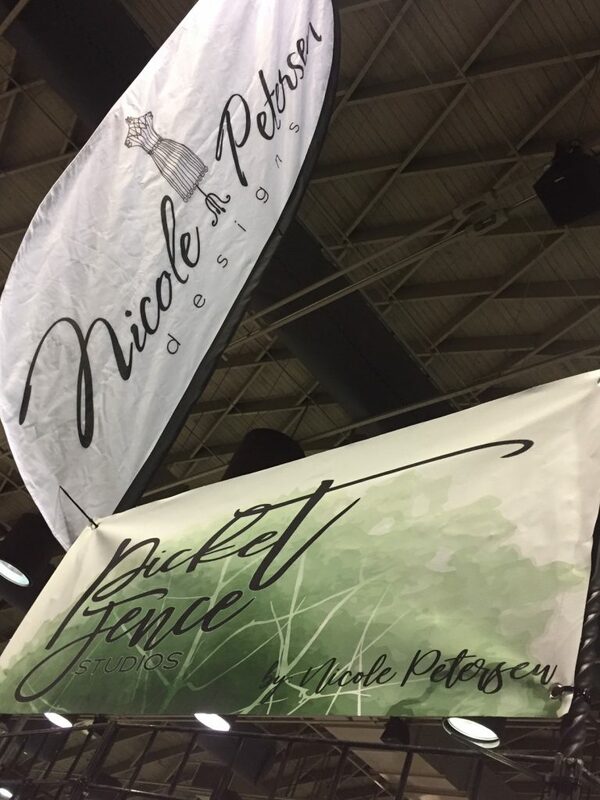 Today I will be sharing some fun products that you can find in the Nicole Petersen Designs booth. 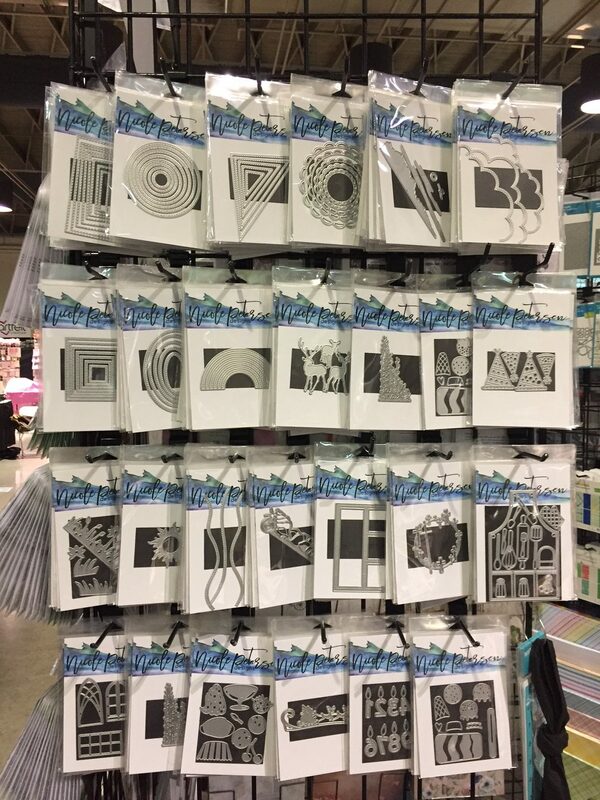 This is one booth you don’t want to miss, from paper collections to Mixed Media treasures there is definitely something for everyone. 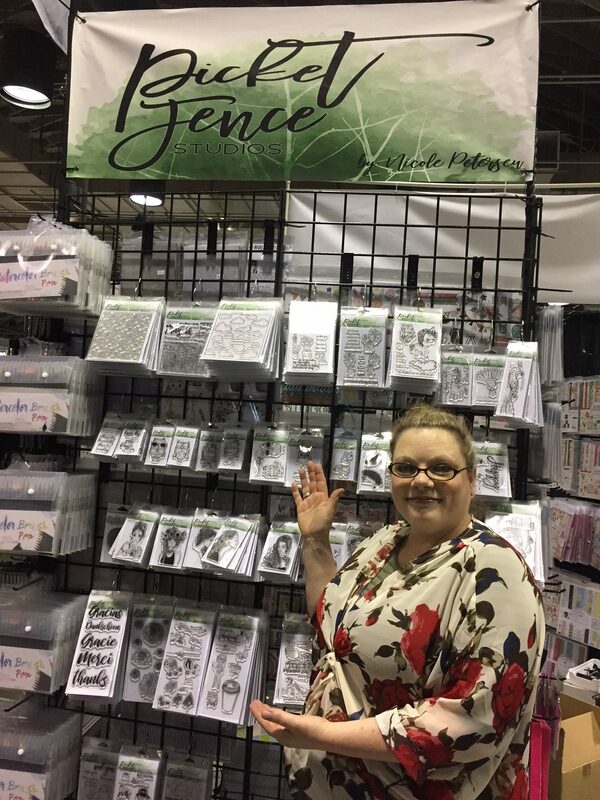 This has been a big year for Nicole as she released her new stamp line Picket Fence Studios. Below is a sneak peek at her new dies. You’re going to love them! 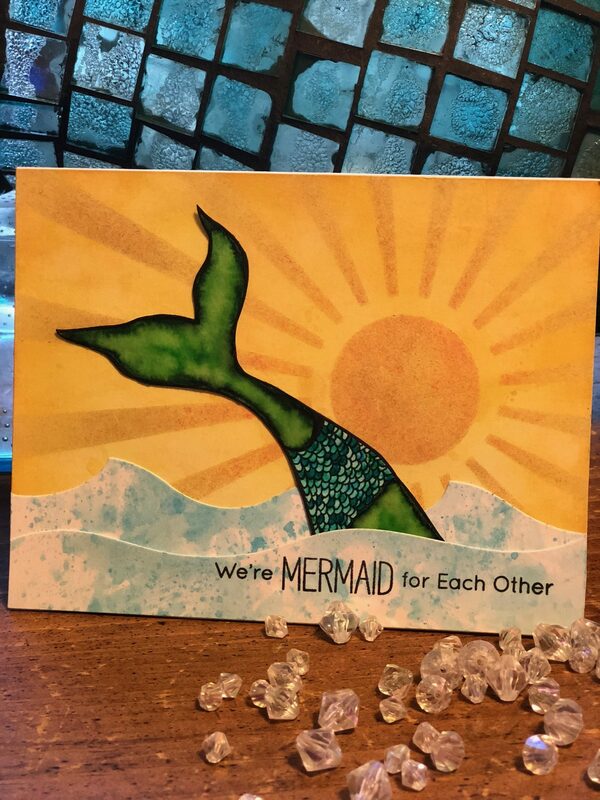 We even used her new Mermaid Tail Stamp Set on one of the Creativity Center projects and it has been quite the hit. The background of the card was created using a combination of Distress Oxides, Nuvo Embellishment Mousse, and a stencil. I love both products and mixing the two makes for a gorgeous background. I hope you’ve been inspired to give them both a try, you’ll be very glad you did. Isn’t this a beautiful sight, all those coloring mediums? And the applicators just make me smile! 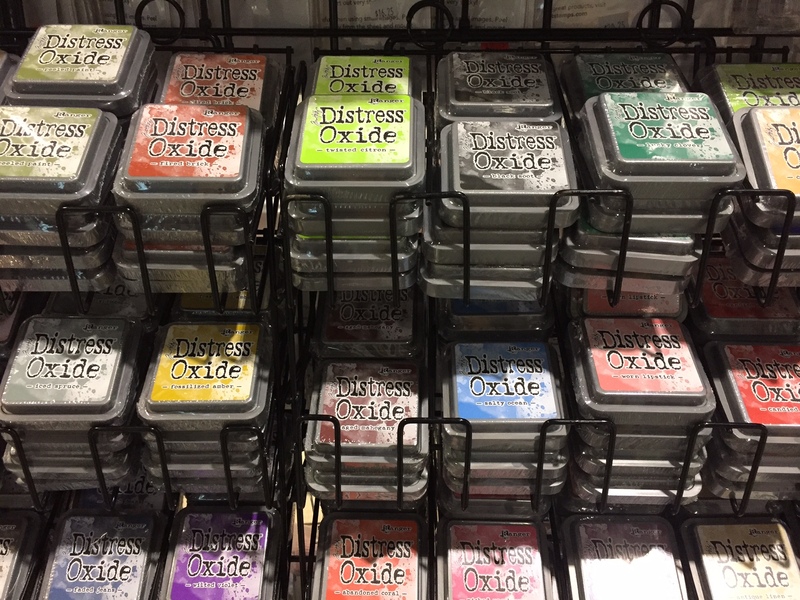 On the outside chance that you’ve fallen in love with Tim Holts Distress Oxide, not to worry, Nicole has them all. When you are planning your trip to the Expo be sure to check out our workshop guide as Nicole Petersen also teaches some amazing workshops. Sign up early because they typically sell out quickly. This entry was posted in Blog, Card Making, Creativity Center, Designers, General Crafts, Manufacturers, New Releases, Paper Crafts, Stamp & Scrapbook Expo, Stamping, Techniques, Whats Hot On The Stamp & Scrapbook Expo Show Floor and tagged Featured exhibitor, Nicole Petersen Designs, Picket Fence Studios, Stamp & Scrapbook Expo. Looking forward to spending some time at the creativity center in August at the Edison, NJ show and sharing some chocolate to boot. Woo Hoo!!! It will be here before you know it, can’t wait. Happy 4th. This is so kind!!! What nice words!!! Thank you, my friend!! See ya next week.